Allo Mate Live is an urban music event which takes place in London. We showcase the best in established and up-and-coming urban music talent. Our job is to provide clean content for the culture. 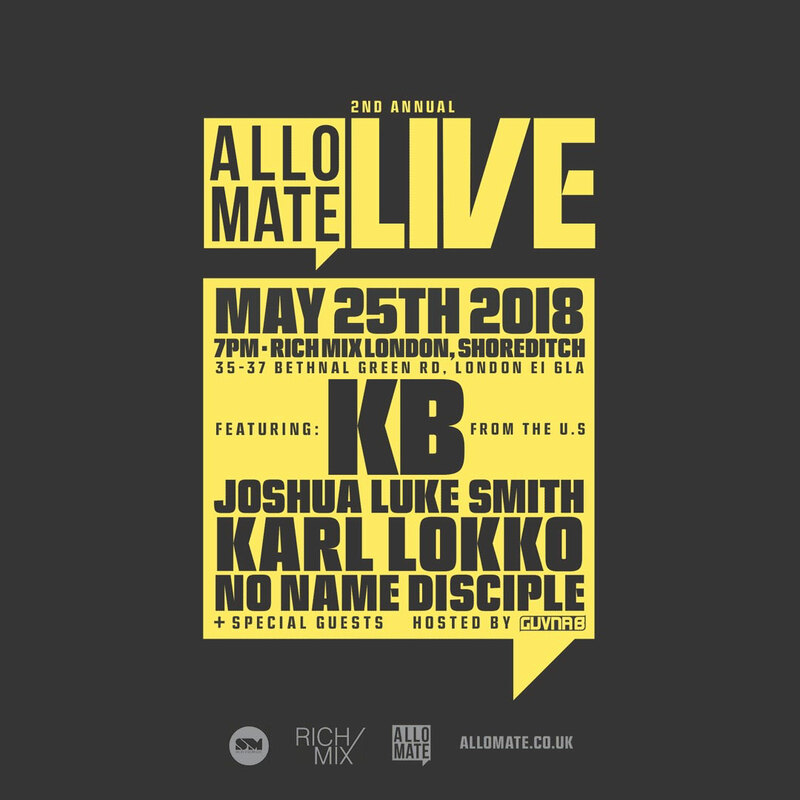 The 2nd Annual Allo Mate Live takes place at Rich Mix in Shoreditch with a sick line-up. Award winning Reach Records rap artist KB will headline, along with support from Karl Lokko, No Name Disciple, and Joshua Luke Smith. The event will be hosted by Guvna B. Get your tickets now.